The Mekanism mod is a collection of many mechanisms that use not only firewood as a source of energy. 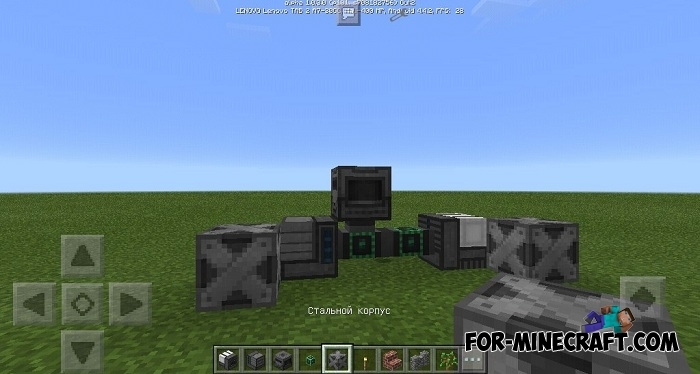 This modification works in conjunction with CoreEngine and is compatible with other industrial mods. Also, the mod adds a multi-stage ore processing system, the organization of automatic production, gases, as well as a new osmium resource. Added the ultimate energy cube. 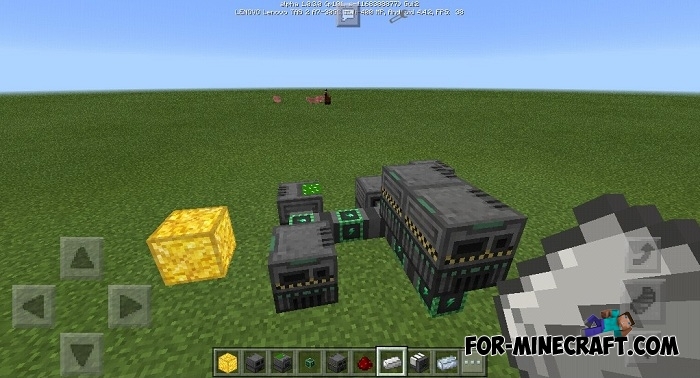 Full compatibility with IC2 and TransportCraft. 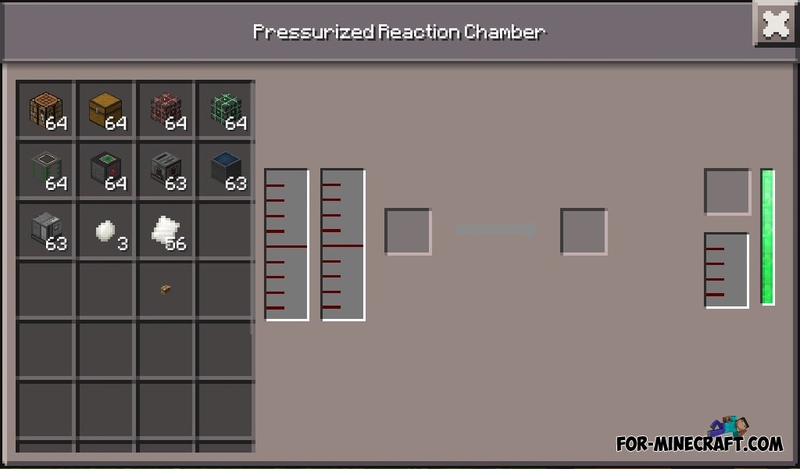 Mechanism energy is preserved when the block is destroyed. Fixed "recipe entry id is invalid: null". The code is compiled into byte-code, which speeds up the work several times. Added a basic energy cube. Added an advanced energy cube. 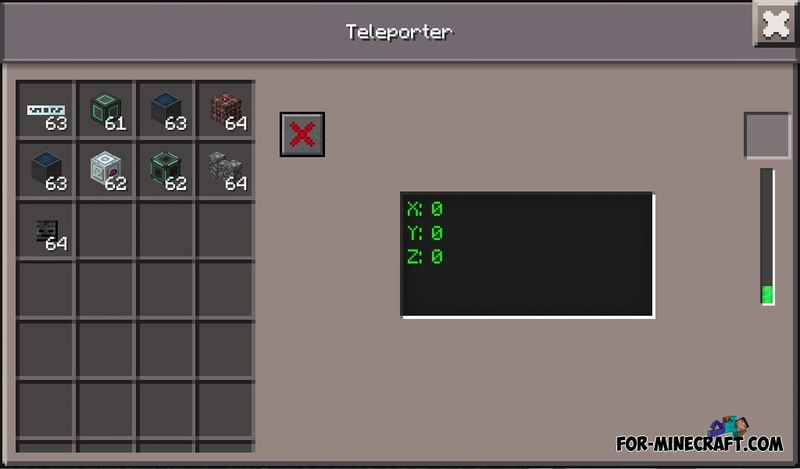 Temporarily removed the teleporter (huge bugs). Great changes did not happen because there was new engine. 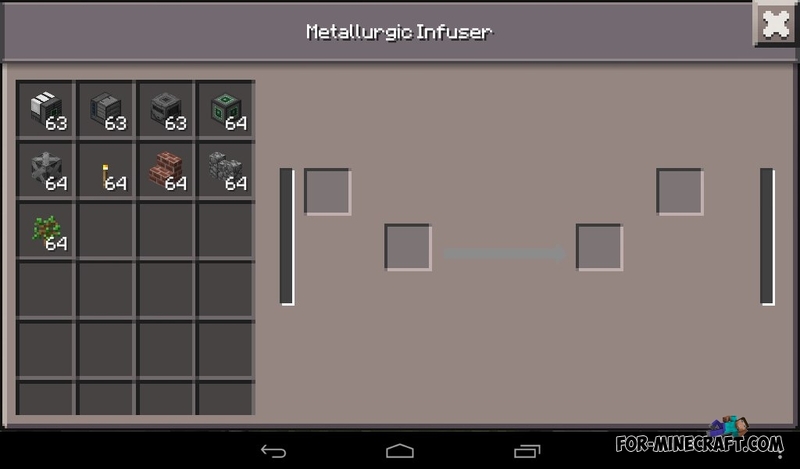 But the next update there will be a lot of work with models and animation + new mechanisms and generators. Also the beta is not yet optimized and Inner Core itself I ask to write all bugs and errors in the comments. 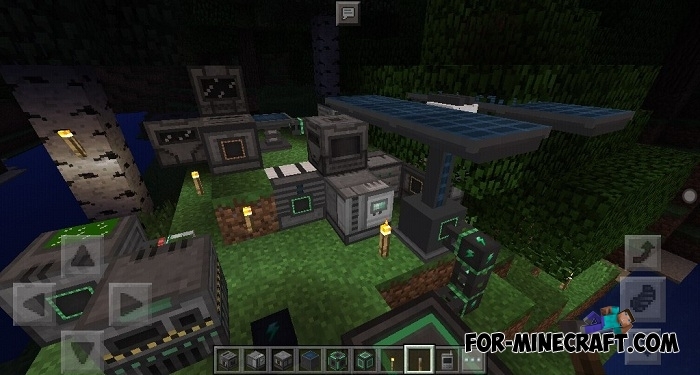 The solar generator model has been changed. Added new types of tools and armor. 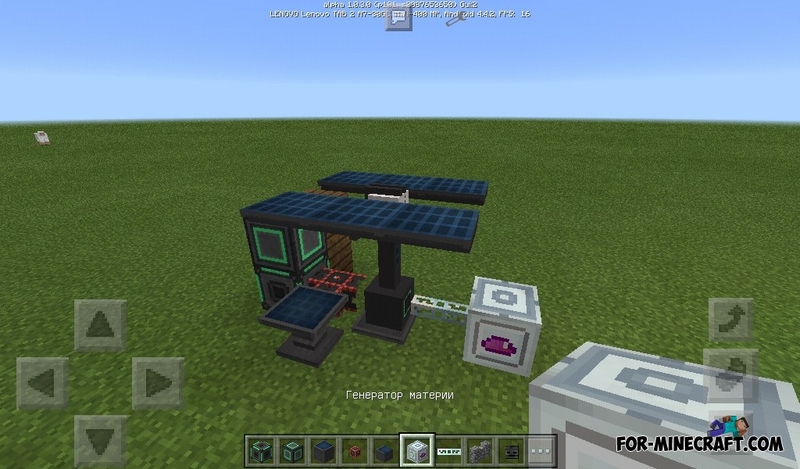 Now Mekanism generators can generate energy for IC:PE and compatibility with BuildCraft pipes. Also, plastic blocks of different colors are added. Added a manual for creating your own mechanisms. 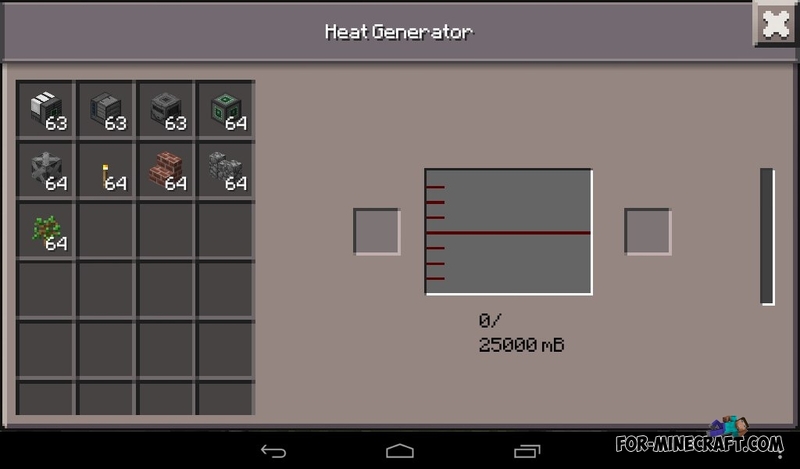 Many of you have always wanted to add realistic mechanisms to Minecraft PE. 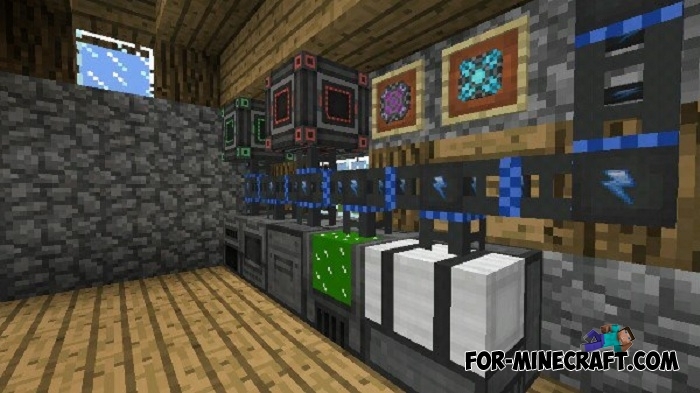 With their help, you can automate any process that can not be done using command blocks. 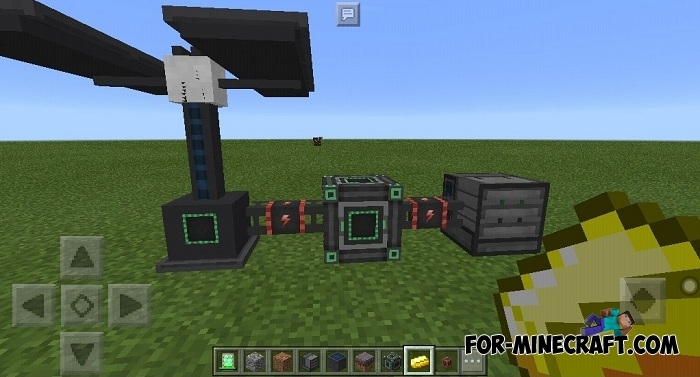 This mod contains more than 10 different blocks designed to solve different tasks. For their work, you will need to make efforts for crafting, find fuel and start. Below is a short list of what has already been added. 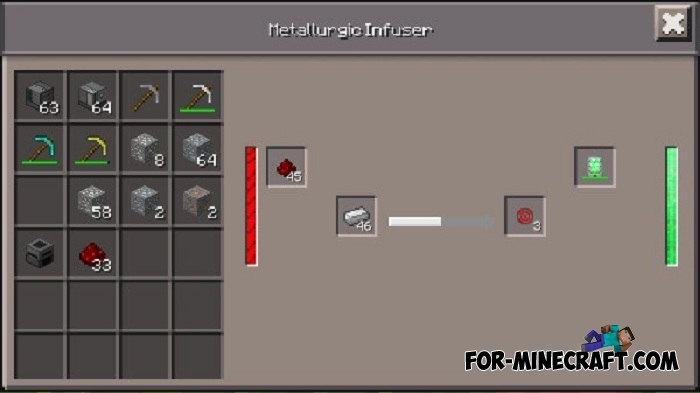 The mod is in development so some mechanisms still have no purpose. The API allows you to create your own mechanism, your wires and electrical items. How to create your own mechanism? Var APIMEK = ModAPI.requireAPI ("APIMEK"); We connected to the API called APIMEK. How to install the Mekanism mod? 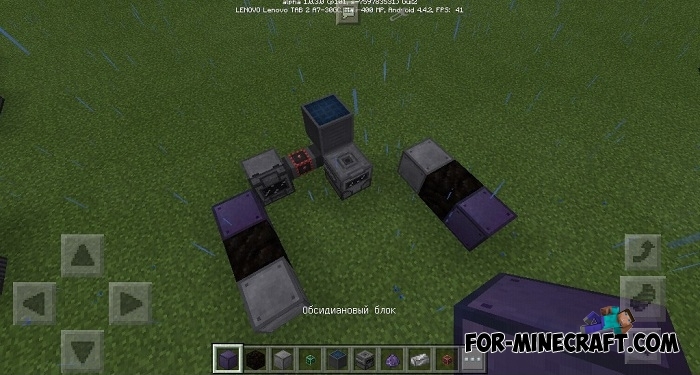 2: Move the Mekanism folder to games\com.mojang\mods. 3: Start the game and play. N?n t?i phi?n b?n n?o c?a mod v?y ! Did u download the core engine 1.2 beta yet? 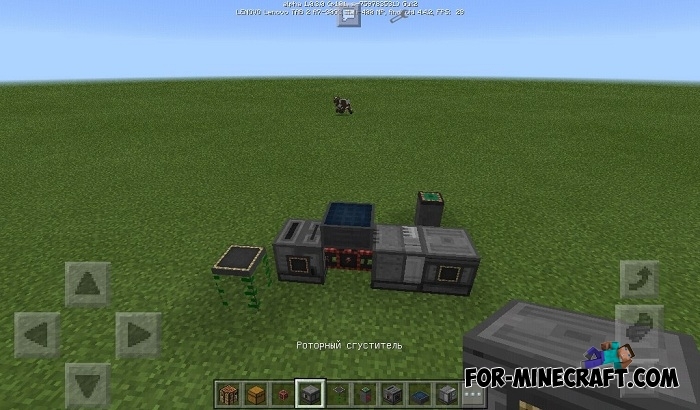 U need core engine to run this mod! Download the core engine 1.2 and apply it in the Modpe Script and restart the app! The new update always have a lot I issue in it! A lot of decorations blocks when I put in the tool bar and chose it, it make the game crash! Да конечно круто, но почему создатель Иван? Редактор группы, а не создатель если нужен он https://vk.com/fox_ent. В группе написано.